Preheat the oven to 375°. Set the garlic on a sheet of foil, drizzle with the olive oil and wrap up; roast for 30 minutes, until soft. Squeeze the garlic from its skin into a blender. 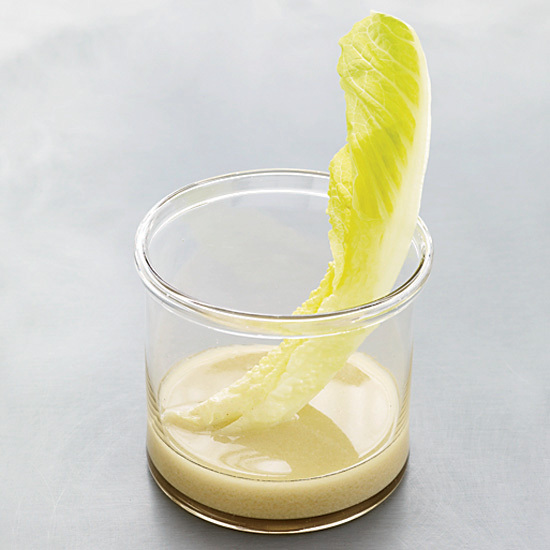 Puree with the vinegar, water, mustard, mayonnaise, honey, Worcestershire and Tabasco; slowly add the canola oil and puree until the dressing is creamy. Season with salt and pepper and serve. Two Tablespoons 129 cal, 13 gm fat, 1 gm sat fat, 4 gm carb, 0 gm fiber. Pour over romaine lettuce or bitter lettuces like radicchio or frisée.